Come join IDAH, CEWiT, and a host of other participants as we showcase the power of mapping and spatial interaction. IDAH in particular will be showcasing mapping projects from the arts & humanities, and we need your help with a mapping project of our own. 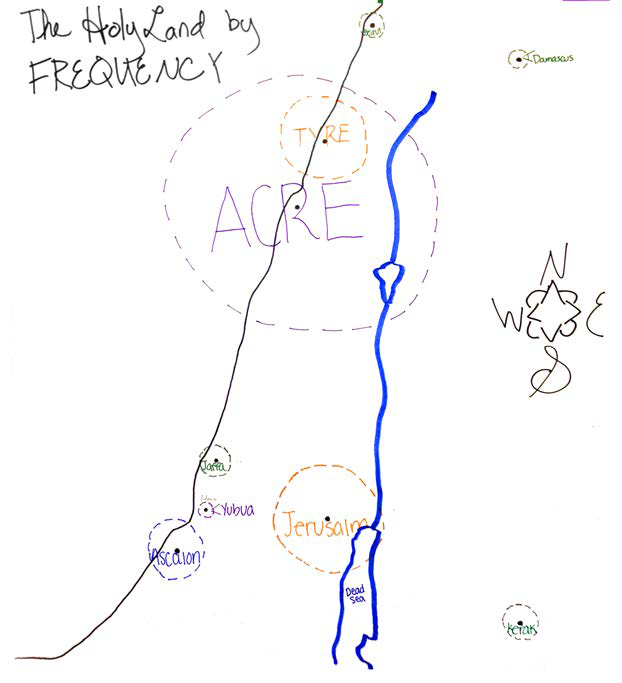 Geographic Information Systems, or GIS, promotes interdisciplinary conversations by situating data within its spatial context. 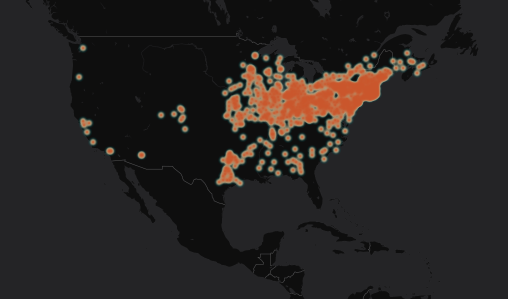 Scroll through to see what IU faculty and students are mapping. Daniel Story, a Ph.D. student in the History Department, combines his training as a geographer with his interest in nineteenth and early twentieth century American history. He has led a digital mapping workshop at the American Historical Association National Conference and pedagogy workshops at IU. This map shows the stops of the Barnum and Bailey Circus from 1871, when it began touring, to 1918, when its operations were taken over by the Ringling Brothers. Viewing it as a time animation reveals that, at least in terms of this particular form of entertainment, as late as 1905 the eastern half of the United States was more connected to Western Europe than to its own west coast. Click the map to see it in action! Explore IU Makes with this spatial guide, featuring UITS 3D printing lab, Wells Library Maker Cart, SoAAD's MAD Labs, the Make, Innovate, Learn Lab at the School of Education, the SICE Makerspaces, and the Intelligent Systems Engineering REDlab. 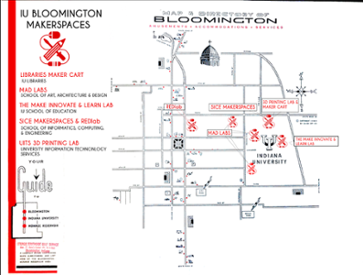 Scroll through to see project highlights from several IU Bloomington makerspaces, and to learn more about each space, download the map or visit the virtual-reality tour with Google Cardboard and your smartphone.